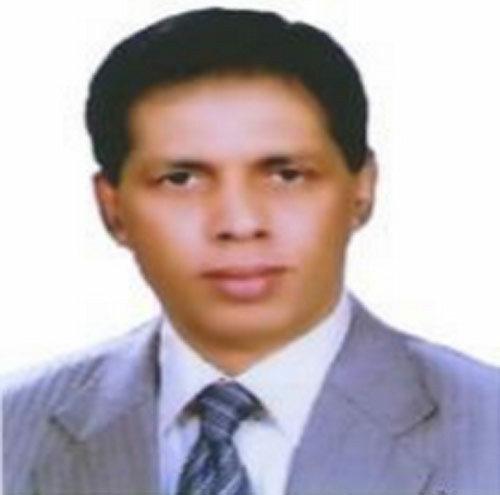 Dhaka, Bangladesh (BBN)- Standard Bank Limited Chairman Kazi Akramuddin Ahmed-led panel bagged 20 posts to win two-third majority at the biennial election of the country’s apex trade body-the Federation of Bangladesh Chambers of Commerce and Industry (FBCC)- in early Sunday, grabbing 20 posts out of 30. Kazi Akramuddin Ahmed-led panel claimed 11 posts out of 15 from the chamber group and nine posts out of 15 from the association group in the election of the country’s apex chamber to emerge as victorious for the term of 2012-14, Professor Ali Ashraf, chairman of the election board, announced at 5:45am on Sunday. The Ganatantrik Parishad panel failed to make any significant dent at the prospect of Akramuddin, despite a huge effort in the last few weeks. Although the voting to the election ended at 5:20pm on Saturday, the board could only announce the final result on Sunday morning, due to age-old manual counting system. It however announced the result for the chamber group last night. Under the provisions, the new board of directors will elect the new president, first vice president and vice president on Monday. The turnout was very high as 91 percent voters cast their votes. A total of 1,822 votes were cast in the apex trade body’s election for a two-year term under the association and chamber groups. Md Aminul Hoque Shamim, a candidate of the Akramuddin-led panel, bagged the highest 262 votes from the chamber group. In the same panel, Md Rezaul Karim Reznu bagged 249 votes, Mohammed Bazlur Rahman 240 votes, Monowara Hakim Ali 239 votes, Momtaz Uddin 213 votes, Prabir Kumar Saha 209 votes, AKM Shaheed Reza 208 votes, Abdul Wahed 203 votes, Jalaluddin Ahmed Yeamin 197 votes, Serajul Haque 188 votes and Bijoy Kumar Kejriwal 185 votes. Ganatantrik Parishad Panel’s winners from the chamber group are: Anwar Sadat Sarker bagging 217 votes, Golam Mostafa Talukder with 212 votes, Md Kohinoor Islam with 210 votes and Tabarakul Tosaddek Hossain Khan Tito with 197 votes, according to the election board. Md Abdul Haque, a candidate of Ganatantrik Parishad, got the highest 852 votes from the association group. Other winners of the panel are –Abu Alam Chowdhury (831 votes), Shafquat Haider (814 votes), Anwar Hossain (769 votes), Obaidur Rahman (744 votes) and Mohammad Jalal Uddin (744 votes). The association group candidates who won under the banner of the Akramuddin-led panel are – Mir Nizam Uddin Ahmed (815 votes), Md Helal Uddin (795 votes), Abu Motaleb (749 votes), Abdur Razzaque (744 votes), Shafiqul Islam Vorosha (738 votes), M A Momen (737 votes), Harun ur Rashid (712 votes), KM Akhtaruzzaman (706 votes) and Shahedul Islam Helal (696 votes). The chairman of election board said 1,439 votes were cast in the association group with a total of 1,611 voters, and 383 ballots were cast in the chamber group with a total of 390 voters. The voting began at 9:26am at the federation building in the city’s Motijheel – 26 minutes after the schedule. “Since we started the election late, we also closed it late. The election was held peacefully as no major untoward incident took place. I was not under pressure from any quarter during the election,” Mr. Ashraf noted. A total of 63 candidates contested for the posts of 30 directors — 15 each from chamber and association groups — under the banner of two panels. The elected directors along with 18 nominated directors — nine each from chamber and association groups — would choose the president for a two-year term. Akramuddin led his panel while former FBCCI president Annisul Huq supported the Ganatantrik Parishad though he did not contest the election. According to the FBCCI rules, this year’s FBCCI president will be chosen from the association group as the incumbent president was selected from the chamber group two years ago. Earlier both the panel leaders participating in the biennial polls FBCCI and chairman of the election board expressed satisfaction over the peaceful election Saturday.